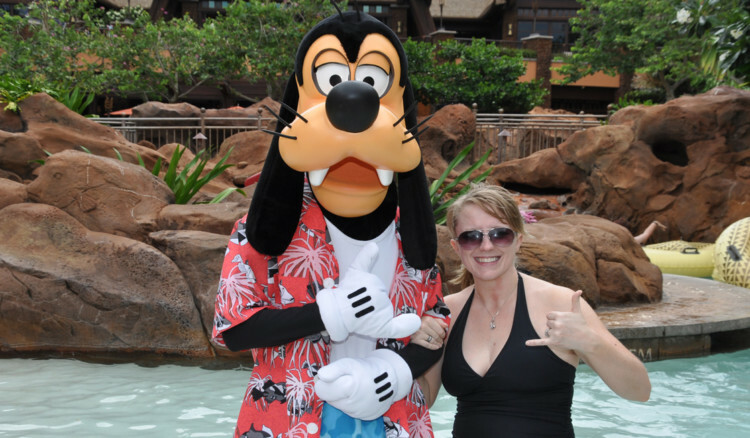 Home » Blog » Top Destinations: Disney » What are the Best Pools at Walt Disney World for kids? Days at Walt Disney World can be long and hot. One of the best ways to cool off and get a change of scenery is a dip in your resort pool! 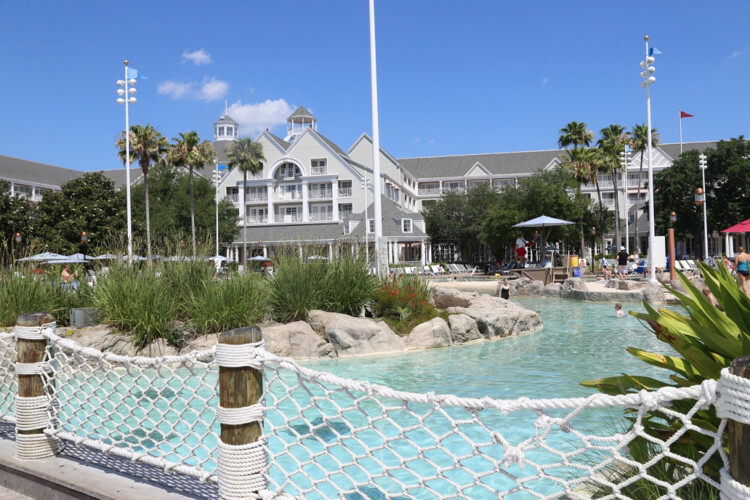 You really can’t go wrong with any of the pools at Walt Disney World resort hotels, but of course some stand out above the rest. 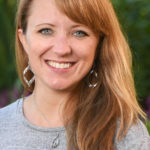 Wayfinding TravelingMom asked her kids (ages 9, 9, and 5) for some help narrowing down the best pools in Disney World for kids. Despite all of the magic within the four parks, some of our favorite Disney memories have been made away from the hustle and bustle. And it’s no secret that for most kids – mine included – any hotel with a swimming pool is the “best hotel ever” (for the moment, anyway). So it’s true then that after a day at the most magical place on earth, my family would be content to head back to just about any old clean (preferably heated) pool. But you know Disney doesn’t do just “any old” anything very often. So unsurprisingly, the swimming pool at your Disney resort hotel – usually pools plural, actually – is going to be fun. It doesn’t matter if you’re staying in the least expensive Value room or the most expensive Deluxe, you and your kiddos won’t have to swim in a boring rectangular hole in the ground. The reality is, of course, some pools are better than others – even if “better” is a matter of preference. My kids have rounded up their favorite Disney pools, in no particular order. No order, that is, except for a unanimous #1 choice! We are admittedly big fans of the first Disney Vacation Club resort we ever called home. Saratoga Springs boasts two “feature pools,” in addition to quiet pools in each of the resort neighborhoods. The original feature pool area, High Rock Spring Pool, features a water slide with beautiful rock work, plenty of space to swim, and a great little splash area for kids. The Paddock Pool has another large water slide, zero-depth entry, and a horseshoe-shaped hot tub. This area has 2 kid-friendly water slides, too! 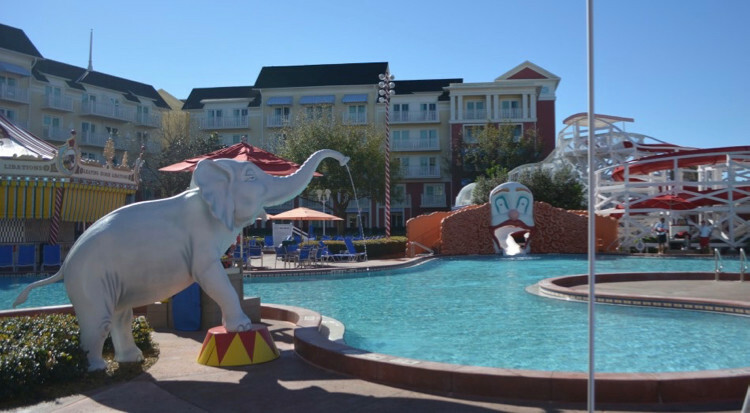 Harkening back to 1920s boardwalks, the pool has elephant statues that spray passers-by, a bar shaped like a carousel, and a giant clown face as the base of a slide. 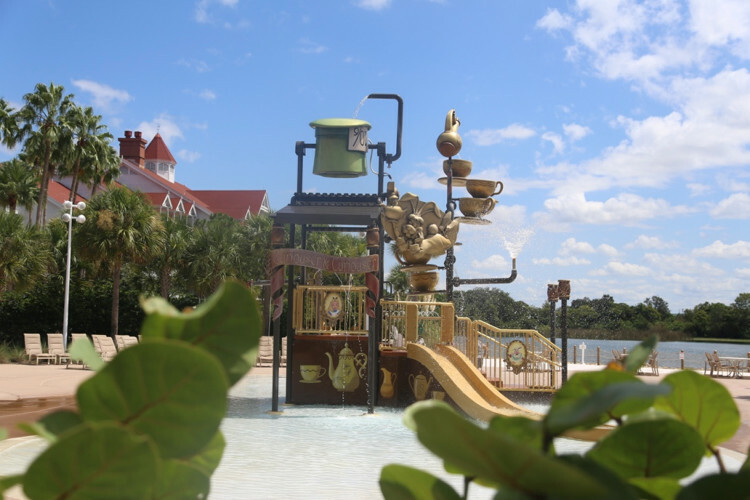 The Grand Floridian has a few great pools, but the kids’ favorite choice is the whimsical Alice in Wonderland play area. The Mad Hatter’s hat dumps water when it fills up, and the little teacups below are so much fun to watch. 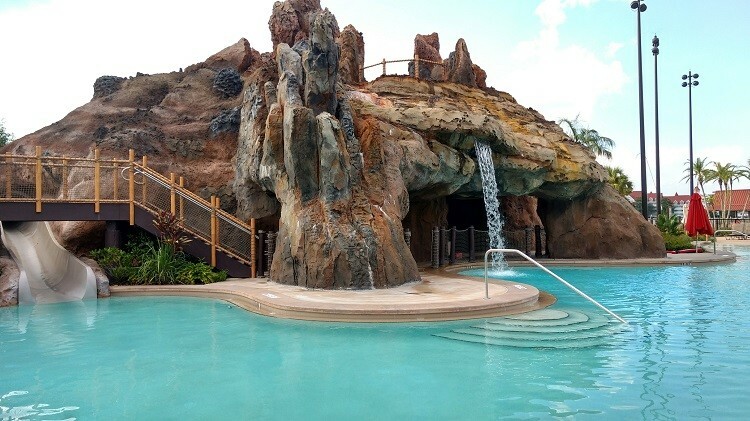 The Uzima Springs pool at Disney’s Animal Kingdom Lodge has long been touted as one of the coolest pools on property. 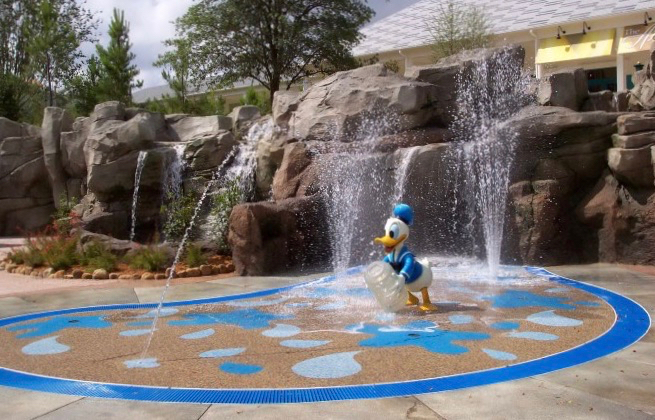 It was one of the first zero-entry pools at Walt Disney World, and is still one of the largest at 11,000 square feet. Like many of the resort pools, Uzima Springs also has a fun water slide. 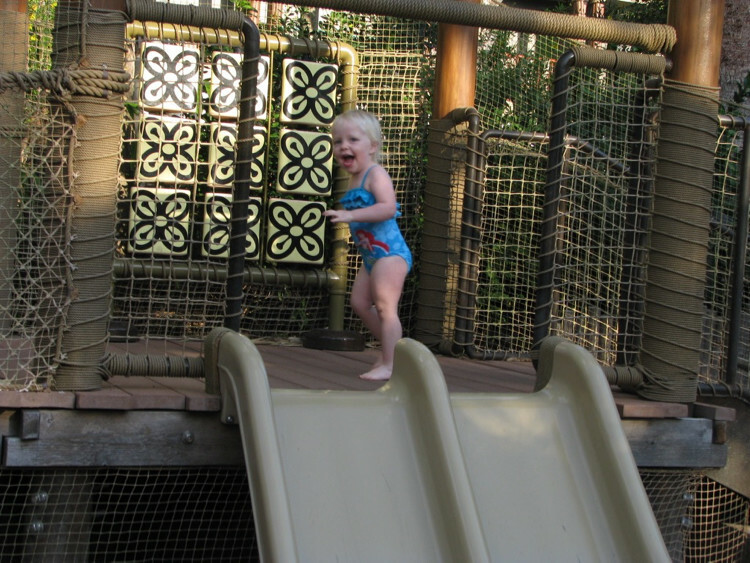 Our favorite place to play during a stay at Animal Kingdom Lodge though is Samawati Springs Pool and Uwanja Camp play area at Kidani Village. This is easily our favorite splash/water play area on property, with three large, distinct areas to play. The Departure Zone, Observation Station, and Base Camp provide different experiences for kids of varying ages, though all of mine have had fun in any or all of them when we’ve visited. When the Polynesian Village Resort got a major overhaul a few years ago, they vastly improved the pool area – while preserving the things guests had loved about the Lava Pool for decades. Beautiful lava rock features make the place a sight to behold. 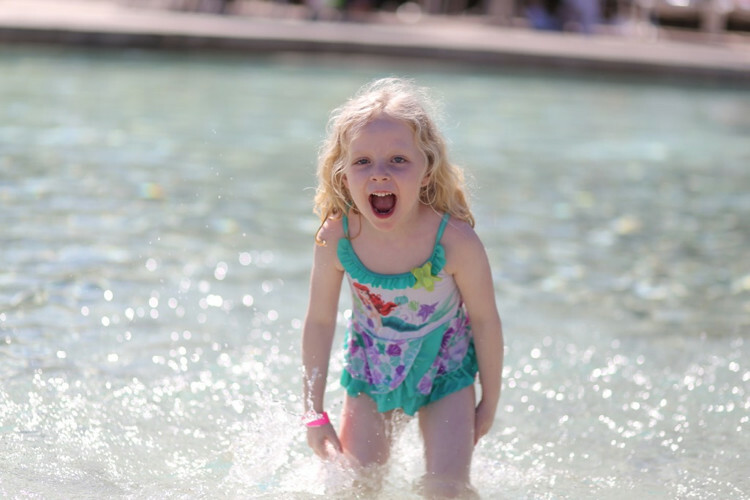 Water slides and a large water playground give kids of all ages something to do. There’s an infinity hot tub and a spectacular view of Cinderella Castle. What more could you want?! To call Stormalong Bay a pool really sells it short; it’s practically a mini-water park of its own! The pool covers 3 acres of land and has something for everyone. You can float along in the lazy river or take a ride on a shipwreck water slide. 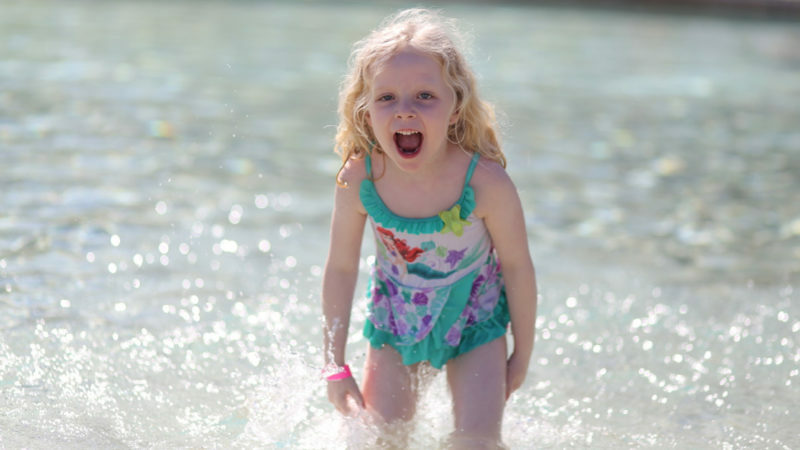 Find a whirlpool, a sand bottom section, and even a “sand bar” area to play in. There are zero-entry pools and smaller water slides for kids, too. When we stay at one of these resorts, we always plan an entire afternoon (or more!) just to swim. What do you look for in a pool when you’re on vacation? Have you tried one of these at Walt Disney World? We never stay at Boardwalk BECAUSE of the pool, so it was a little funny to see it listed here as one of the best ones. The clown is just too scary for my granddaughter, so she won’t go there. And while I agree with the rest of the list, I’m a little disappointed to see that only Deluxe Villa resorts were included in this list. The pools at Art of Animation (Value), Caribbean Beach, and Coronado Springs (Moderates) are great, too. AoA has a zero entry pool and super cool additions for the kiddos. Caribbean is one of the best themed pools at Disney. Even w/o taking the creepy clown into it, those three pools would surpass Boardwalk any day in what they offer. Maybe a best 10 list that includes pools other than only DVC/Deluxe resorts?